If I was a sixteen year old living in the 60s, this is how I would imagine myself to look like... Seriously, why don't people dress like this anymore? Proper wear, tailored attire, nicely done hair, etc. Yes, I might be over-the-top-matchy with the bow, satchel, and oxfords of the exact same shade, but I don't care! This is definitely one of my favorite vintage dresses, gorgeous fuschia red floral print with the most amazing embroidered collar I have ever seen! I actually traded this dress with an Etsy seller a long time ago and it was actually 3 times too big on me so I altered it a bit. I just couldn't resist that collar! 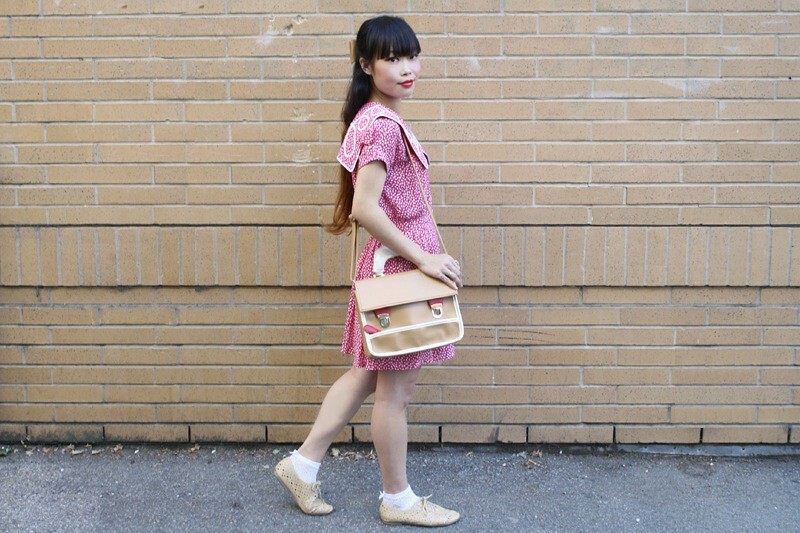 Paired it with a leather hair bow, an adorable satchel (with red accent to go with the dress), and pointelle socks (yes, there are bows on the back of the socks) with perforated oxfords. So what if I look like a child? Who cares? 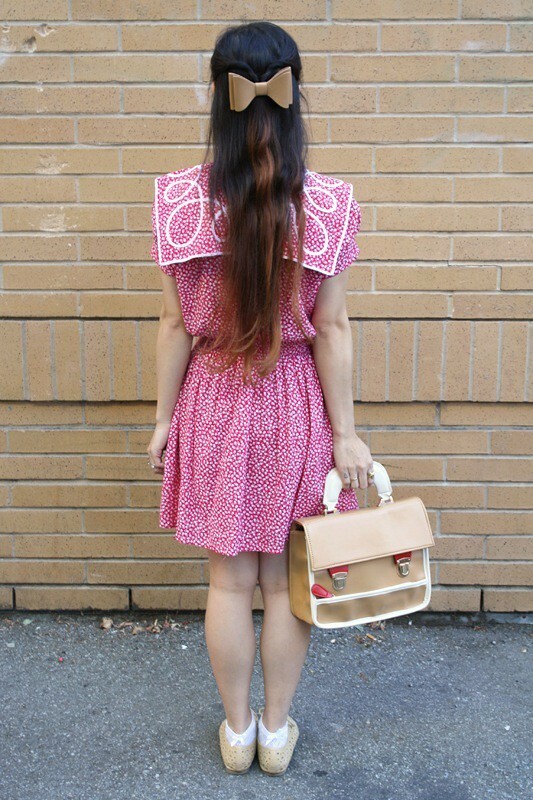 Vintage embroidered collar floral dress by Karen Stevens from Etsy. 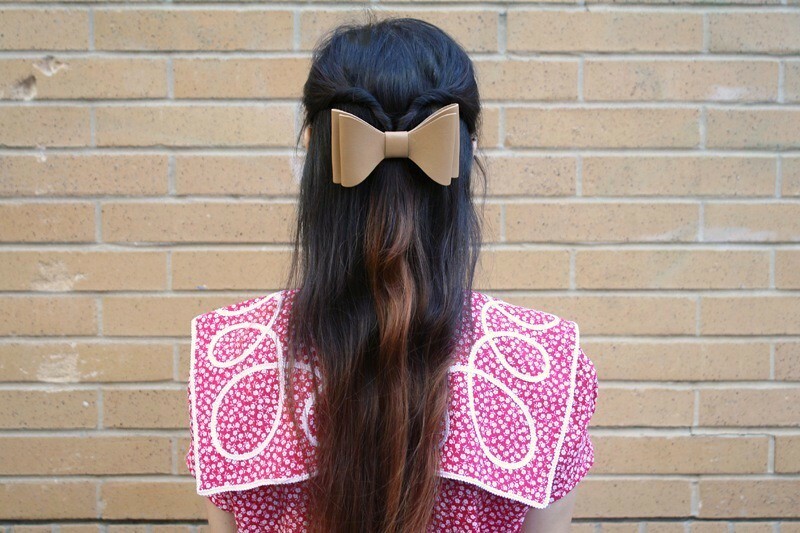 Leather hair bow from H&M. the bow and the dress are incredible!